U.S. Concrete’s Central Concrete and Right Away Redy Mix, is working to recycling its “returned concrete” to produce concrete blocks. 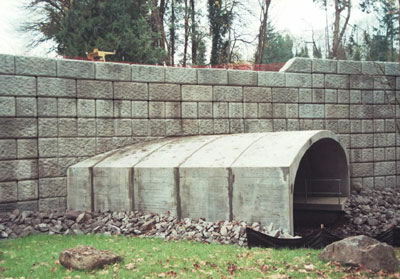 These blocks are then used for developing Ultrablock™ and Stoneterra™ Retaining Wall System. 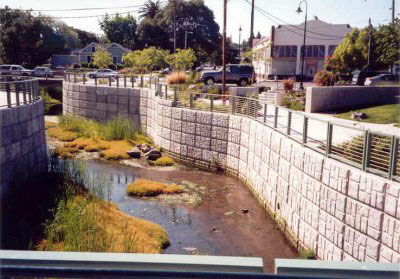 These “green” building products are available in 18 different shapes and sizes of segmental retaining wall blocks using 100% post-consumer recycled concrete material. 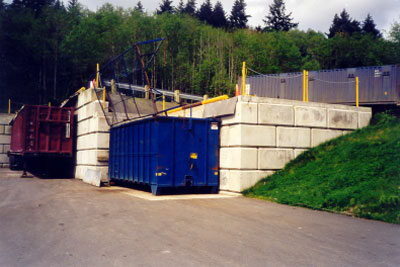 A concrete producer in the United States has an average of 1 to 2.5% of “returned concrete” to handle. A plant with 100,000 yards of annual volume could end up with over 2,000 yards of “returned concrete.” This concrete is typically disposed of, potentially creating harmful effects for the environment. Central Concrete and Right Away Redy Mix have set a target of zero waste. They are working with customers to make sure they more accurately predict the concrete needed, and when there is left-over concrete they are employing various strategies to reuse and recycle the materials. Foster Road Project – Portland, OR.